Thinking of installing a tarmac driveway? You’ve come to the right place! Tarmac is traditionally the go-to surface for driveways because it’s relatively low-cost and requires little maintenance. It offers the benefit of being able to drive or walk onto the surface within a couple of hours of completion. Although it’s not as high-performance or as aesthetically-pleasing as ​resin​, tarmac driveways still have their place in the modern world. Tarmac is weather-resistant and inherently porous to allow water drainage. It can sustain heavy loads and should remain pristine for at least 5 years, provided it's properly maintained. Tarmac surfacing is a straightforward process that happens in three stages. You can normally lay a tarmac driveway within a single day, depending on the condition of the existing surface. Sub-base – We first excavate and lay an “803” sub-base (granular material produced from concrete, asphalt and aggregate) that is raked in and compacted with a roller. Base coating – A layer of bigger aggregate is added and compacted. ​Top coating – The final stage is the addition of smaller, smoother aggregate. Thesurface is compacted a final time for a super smooth finish. We can beautify your ​tarmac ​driveway even further by adding paving and pretty edges to delineate and create a pleasing contrast. Contact our friendly surveyors today to arrange a visit for a free, no obligation quote. 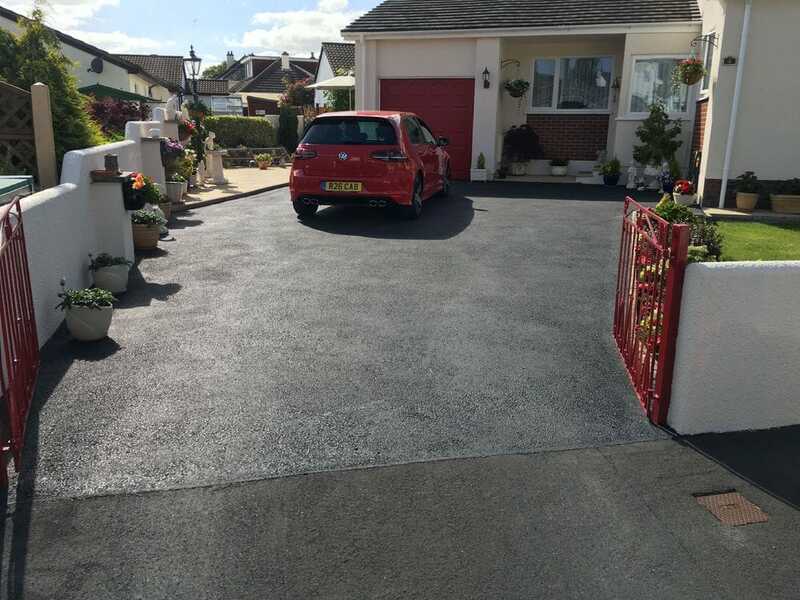 We install tarmac driveways across Devon, Cornwall, Somerset and Dorset.